The range of devices avaliable to any hazardous area workers is growing by the day as the induistry pushes forward towards a wider range of devices. With a wider selection avaliable it is important that the individual user is able to choose which operating system they want to use. At Exloc we are dedicated to providing multiple different operating systems so that any user can choose Android, iOS or Windows depending on what fits with your operations. 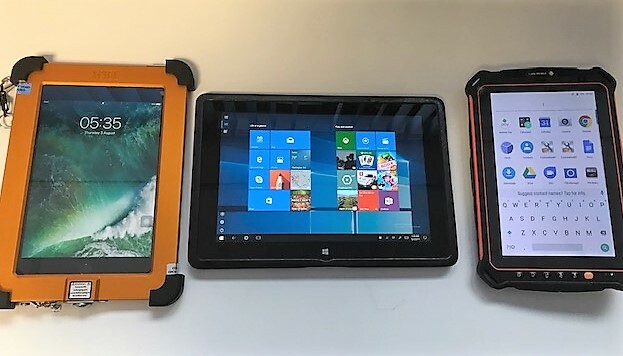 No matter whether you need ATEX Zone 1 or 2, Windows, Android or iOS – Exloc have a device for you and the expertise to help you implement them to significantly improve your day to day operations. Looking to update your on-site technology? Call Exloc today and ask us about our wide range of ATEX and Intrinsically Safe Smartphones and Tablets!